One of the most famous and fun to catch gamefish in Florida has to be the elusive Snook. These aggressive fish have been compared to their freshwater counterparts Bass, who share their same temperament. Each year hundreds of fishermen take to the waters of Florida to see if they can bag one of these hard fighting fish. If you are thinking of trying your hand at Snook fishing, then you will need to be prepared with some Snook fishing tops. Not only are these fish fighters but they are very intelligent as well. Today we are going to learn some tips that will help improve your odds out on the water. 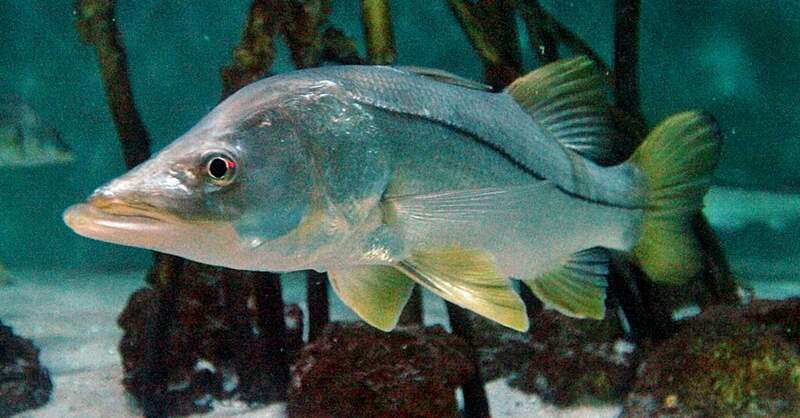 Snook just like Bass are ambush predators, and they often use the current to their advantage. The current helps to push their prey out in the open, so often Snook will hang out in areas where there is the most current. A great place to find more Snook is around areas that contain structure. These predator fish love hiding in structure while waiting on unexpected prey fish to come swimming by. Also, the structure provides safety from other larger predators. Snook go crazy for live bait, and choosing the right bait for the job is a great way to bring in more Snook. Three of the most popular live baits that Snook seem to love are Mullet, Ladyfish, and Ballyhoo. These baits seem to perform the best especially during the start of the season. These powerful fish will gladly feed during the day but they are designed by nature to feed at night. A great way to bag a Snook is fish by the moonlight. Nighttime is when some of the larger fish feed. So if you want to bring home your catch, fishing in the dark just might help you achieve that goal. It is recommended that you use the live bait fish Ballyhoo for all nighttime fishing. According to Florida Fish and Wildlife Conservation Commission, the legal length is not less than 28 inches in total length or no more than 32 inches in the Atlantic. On the other side of the state, in the Gulf of Mexico, the legal size limit is not less than 28 inches and not more than 33 inches. Additionally, you are limited to one Snook per person per day in both areas of the state. Giles, owner and fishing guide, is a well of great local fishing knowledge for both fly and spin tackle. He runs a well-appointed tackle shop, sells only the freshest bait and hires only friendly and skilled staff. If you're looking for a guided fishing trip no need to go any further. With Giles' expert guidance and his ability to put anglers on fish you're almost guaranteed to hook up. He's a great guy and has great knowledge of all types of fishing and are waters in the area.